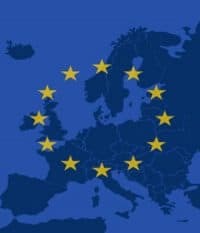 Welcome to Part I of our crash course on the formation of the European Union (EU). Each treaty signed between 1948 and 2007 brought Europe one step closer to today’s EU. Back in the aftermath of World War II, a group of European countries decided that the Dunkirk Treaty of 1947, which the UK and France signed against a possible rebirth of German aggression, needed an additional “mutual defense clause” and so came up with the Treaty of Brussels (1948). That “mutual defense clause” turned out to be the basis upon which the 1954 Paris Conference established the Western European Union (WEU). In the meantime, the European Coal and Steel Community (ECSC) was implemented as the first international organization based on the principles of supranationalism (i.e., a system where negotiated power is delegated to an authority by governments of member states). Belgium, France, West Germany, Italy, the Netherlands, and Luxembourg signed the 1951 Treaty of Paris. 1957 proved to be a particularly busy year for the European countries. The Rome Treaties of 1957 created both the European Atomic Energy Community (EURATOM) and the European Economic Community (EEC). By this time, everyone had agreed that there were too many “communities” to keep track of so they created The Merger Treaty of 1965. This combined the executive bodies of the ECSC, EURATOM, and EEC into a single institutional structure called the European Communities. In 1975, TREVI came out of the European Council Summit in Rome. It was an intergovernmental network of national officials from ministries of justice and the interior outside the European Community framework. Ten years later, 26 European countries signed the Schengen Treaty that would jettison the need for passports at their mutual boarders. This open travel policy gave way to the 1986 Single European Act which established an objective for a single market and codified European Political Cooperation (EPC). 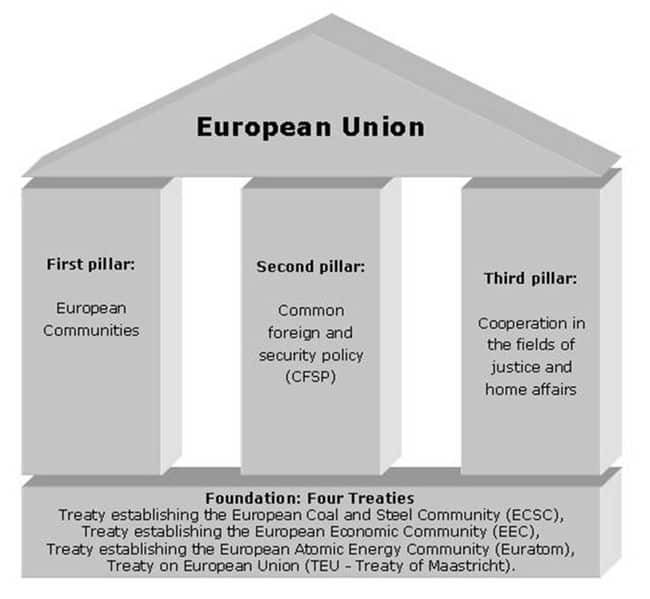 Between 1993 and 2009, the European Union (EU) transitioned to a “three-pillar” structure as proposed by the Treaty of Maastricht. The three pillars were the European Communities, the Common Foreign and Security Policy, and the Police and Judicial Co-operation in Criminal Matters. Finally, the 2007 Lisbon Treaty officially made the European Union we see today; it went into effect on December 1, 2009. 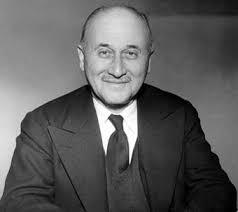 One key player in European integration was Jean Monnet, a French political economist and diplomat who served as President of the High Authority of the ECSC. His behind-the-scenes work with American and European governments and influential support of the European unification earned him the unofficial title “Father of Europe.” Although Monnet was never elected to public office, he was named patron of the 1980–1981 academic year at the College of Europe in honor of his accomplishments. Arthur Hartman left Harvard Law School to take a job in the Marshall Plan administration in Europe and later joined the Foreign Service, where he was posted to Paris, Saigon, London, and Brussels as Deputy Chief of Mission to the European Economic Community (the predecessor to the EU). In 1974 Hartman was appointed Assistant Secretary of State for European and Canadian Affairs and served as Ambassador to France from 1977-1981 and Ambassador to the Soviet Union 1981-1987. He was interviewed by Charles Stuart Kennedy beginning in October 1999. Read Part II about the problems with the UK’s accession to the EEC. Learn about the negotiations behind the creation of NATO and when President Charles de Gaulle unilaterally withdrew France from NATO. Go here to read about the Marshall Plan. See The Washington Post‘s inspired look at European alliances as a Metro map. HARTMAN: Early on, [pictured, Jean] Monnet (who right after World War II was in charge of the French organization that apportioned resources in order to get the economy started) championed a European reconstruction program that went beyond the recovery of individual and separate states. During the war, his vision for Europe was opposed to that of statesmen like Secretary of Treasury Morgenthau, who sought to punish and weaken Germany by stripping it of its industrial capabilities and converting it into one big agricultural region. Monnet thought that close cooperation between states was the only viable outcome for Europe, and his opinion was echoed in the preamble to every year’s piece of legislation on the Marshall Plan. Each year, when Congress passed the authorizing legislation, there was always a clause on encouraging European integration. From the onset, American thinking was, “you shall use this money to promote lower barriers.” But there was often a misunderstanding about what this meant, and Monnet was one of the few figures who actually saw a structural integration coming, and not just a lowering of trade barriers. He recognized early on that political unity was necessary in order to create a functional zone of economic cooperation and, to his credit, foresaw what kind of problems could arise out of an economic union deprived of strong political commitments. Only now, with debt crises multiplying in European countries that haven’t agreed on a common budget, can we see the full measure of Monnet’s insights. Monnet had a view about how one would go about implementing some of these ideas that they talked about during the war, like creating a European structure that reinforced economic growth. There was a fight with [Secretary of Commerce Averell] Harriman’s office, which was the office for all of the Marshall Plan in Europe, about what this integration meant. Harriman himself was not so much opposed to European integration, but his people at the Marshall Plan mission for Europe were more in favor of a kind of loose, intergovernmental agreement, more in line with the European Payments Union. The French Economic Cooperation Administration (ECA) mission quickly became a staunch supporter of really thoroughgoing integration. We adhered to the formation of supranational institutions which could do more than simply facilitate trade between countries, and which could even lead to countries relinquishing part of their national sovereignty. The people in Harriman’s mission had to deal with a broader public, and with twelve countries under their supervision, they had to take into account the Greeks, the Norwegians, the British, who did not want to have this closer kind of integration. There were also a number of people in Washington who felt that a united Europe might be a threat to the U.S. as a trading nation. They were afraid that this European unity was going to interfere with the new global principles, such as free trade, we were trying to get accepted, and with the institutions that were created to support them, such as the International Monetary Fund (IMF) or the International Bank for Reconstruction and Development (IBRD, a component of the World Bank)…. The treaties that formed these bodies like the IMF and the IBRD included a clause that provided for the formation of either a free trade area or a customs union in Europe, so that those who opposed a union in Europe remained a minority. The planning committees in Washington during the war had really been thinking about a customs union for Europe because they thought these trade barriers made no sense at all. They ended up causing all kinds of conflicts, so why not remove them? Scholars like Professor Friedrich, who had taught me at Harvard, were commissioned to study a possible way of bringing European countries together; he studied all the federations that had existed prior to 1945. This idea crystallized all of Monnet’s previous thoughts for European integration, and was accepted by Robert Schuman, the French foreign minister of the time, who on May 9, 1950, made a speech outlining the French government’s proposal to create a federal entity called the European Coal and Steel Community (ECSC). This Schuman Declaration became famous because it in effect launched the first precursor institution to the European Union. 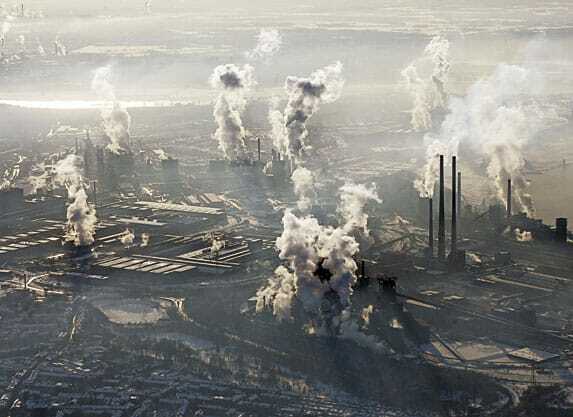 At the time, the U.S. was attempting to coordinate the recovery of the steel industry across Europe. We were going to various countries and they were saying to us, “We want such-and-such.” Of course, the demands greatly outstripped the possibility of support, and we were acting as referees in this competition for assistance. On a European level, our strategy was not really thought out in terms of integrating industries, but rather in terms of rationalizing, of compromising, and of negotiating out bits and pieces. 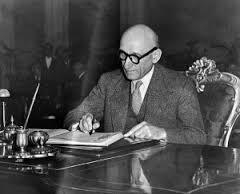 The Schuman Declaration pushed for the creation of a supranational body which would coordinate resources and put them in common, so that European unity was achieved when this supra-national body was formally created in 1952. But in between the Schuman Declaration (1950, pictured) and the creation of the Coal and Steel Community (1952), negotiations took place between six countries (France, West Germany, Belgium, Luxembourg, the Netherlands and Italy) in order to determine the governance and powers of the Coal and Steel Community…. I came back to be the officer in charge of a part of European integration. This process was, by 1958, well under way and the European Economic Community (EEC) as well as the European Atomic Energy Committee (EURATOM) had been formed after the Treaty of Rome in 1957. We had a regional office in the State Department that dealt with this part of Europe (still the same Six)…. I think the older generation tended to be much more skeptical about American policy supporting this sort of activist policy, which consisted in supporting the move towards European integration. New Foreign Service officers, like myself, had come from various areas, and not just the traditional Foreign Service track; we didn’t have the same inhibitions as regular officers, and did see the benefits of having a real policy which we promoted actively…. We, at the State Department, were calling for a special regime for these six countries — we supported a special regime of auto-inspection in order to further encourage the growth of the European integration movement. Because it was supranational, we thought it would be a safe inspection system and would prevent anybody from cheating. The concern was not so much about developing nuclear weapons, as France had already built up a nuclear arsenal, and the Germans had foresworn and we believed them. I think it was mainly to keep track of material. I ran into a buzz saw with Admiral [Lewis] Strauss [a major figure in the development of nuclear weapons and nuclear power in the United States]. He thought that the creation of the European Nuclear Agency in Paris would be a disaster! It finally came down to a battle between Admiral Strauss and Douglas Dillon, the Under Secretary, who was also a champion of European integration: Should the U.S. endorse this EURATOM project? It was left up to Eisenhower to decide. Eisenhower remembered the time when he had endorsed this European idea, and he decided to support the plan because it strengthened Europe. Strauss, the czar of atomic energy, was just furious. 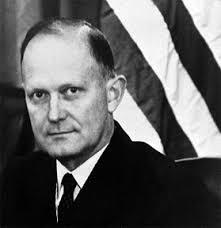 Behind him was Admiral Rickover — the father of the nuclear navy — who didn’t even like the idea of a peaceful missions program, and particularly didn’t like the idea of the Europeans going in any kind of independent direction. He was constantly coming up with reasons why we shouldn’t be cooperating with these folks. But the French went on, and 60-70% of their electricity is now produced by nuclear power based on Admiral Rickover’s model of the Westinghouse reactor. The end of the 50’s was a time when American leaders started realizing that arms control was essential to America’s safety and that the Russians were technologically more advanced in some aspects of their defense capabilities…. We decided to move beyond the four states system because of the 1954 London and Paris agreements, which fully recognized the statehood of West Germany and the status of the Soviet Union as an occupying power in the East. As a result, this four powers structure disappeared and when we reconvened similar, four country meetings, it was us meeting with the Germans, the French, and the British…. I was working closely with John Leddy, Dillon’s top aide, and with those who were working to get these trade negotiations through. There was intense controversy at the time over the benefits of negotiating such trade agreements with the European community. Isaiah Frank was in charge of the Trade division in the economic bureau, and said that creating a trading giant like Europe was the greatest disaster we had brought on ourselves. We had created an inner group, so not only did we no longer have a worldwide trading system, we were also making special arrangements for this so called customs union which were going to mess up our business in Europe. While Frank and a bunch of skeptics were more concerned about the isolation of these six countries from the world wide system, we had the argument that this was going to benefit U.S. business interests. John Leddy and Dillon felt that what we had to do was bring down this external tariff that had been created around the Common Market. If we reduced the tariff, we would liberalize trade and it would help the worldwide system. Leddy saw the Common Market, with its customs union and its eventual desire to go even further to an economic union, as something that would benefit us in the end because it would create tremendous economic growth. In order to get this through Congress and give some argument to Douglas Dillon, I had a hand in bringing Tom Enders back to the State Department. Tom was just getting his Ph.D. at Harvard in a very exotic science called customs union theory. A customs union is a zone protected by a single tariff. I don’t know the mathematical economics of what happens when you form a customs trial, but he went through this elaborate calculation, which only Tom could do. He showed that, if the single tariffs protecting the European and American customs unions were to be reduced by only half a percent, all of the trade diversion effects arising from the customs union would be overcome by the economic growth. In effect, outsider traders would benefit from this slightly lower tariff and there would be greater demand. Of course, we had dominated the market because at the end of the war European agriculture was dysfunctional. We had built up a tremendous trade in soy beans which was used to feed cattle as well as the population. Isaiah [Frank] was right because the Common Agricultural Policy gradually did get us out of this $5 billion worth of agricultural business we did in the Community, and even began doing us out of business in other parts of the world. In order to support the high prices within the Common Market, the Europeans highly subsidized their agricultural industry. Here we are, forty years later, still talking about it, trying to reform the Common Agricultural Policy (CAP)…. John Leddy felt that the Common Agricultural Policy would die of its own weight because sooner or later the European taxpayer would get tired of paying all the subsidization. Well, this hasn’t happened yet, and the CAP represents nearly half of the European Union’s budget. A very important event for the European bureau in Washington was the election of Charles de Gaulle as President of France in 1958. It was only a little while after his entry on the scene that I returned to Washington. Those who supported the integration movement felt that de Gaulle’s arrival might in fact mean the end of European construction. Some in the State Department had already buried European integration; people like Martin Herz, who was very much of the opinion that nationalism was going to triumph in France, and that all of our European projects were going down the tube. Others still adopted an indifferent position. I can remember having conversations with Foreign Service officers who just felt this was not the United States’ business. Why muck around with it? We should accept whatever happens in Europe and our policies should fit in with whatever happens. They weren’t so concerned about nationalism coming back into Germany; they thought that German-American relations would always be very close, and that you didn’t need this European integration thing to bind Germany in with the West. However, Monnet began getting the word back to us that de Gaulle wasn’t going to kill these institutions, for the simple reason that they had succeeded in modernizing the French economy and made France a prosperous country again — all of which de Gaulle later tried to take credit for. The word to us was “Relax a little bit because Adenauer is standing firm on these institutions. He will have a relationship with de Gaulle and will call for him to accept European integration.” [West German Chancellor] Konrad Adenauer reassured us when de Gaulle put our European policy in peril. Once, while I was traveling in Europe with George Ball — the Under Secretary of State for European Affairs — we had lunch with Adenauer. 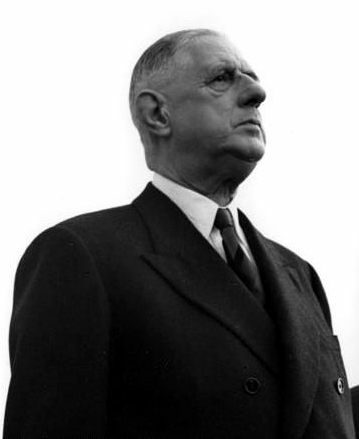 A note was brought in to him saying de Gaulle had had a press conference in which he said the negotiations to include the British in the EEC were finished, and that he would use his veto to block any further talks of British integration. George Ball was a strong supporter of the British entry into the Common Market, and Adenauer immediately tried to calm down our reaction. Looking back on it, I think Adenauer probably had advance word. He was prepared to lecture us as to how we shouldn’t be discouraged by this. The Germans had no interest in seeing a fight between the French and the Americans on this issue. They were always kind of walking a tightrope at keeping a good relationship with the Americans while they had this good and close relationship with the French, who were led by a very difficult President. I would say that our policy of economic European integration was one that was largely successful. A lot of people look back on it and say, “What kind of a monster have you created?” They saw a monopoly zone as well as a formidable competitor forming. I don’t think the integration of Europe had a negative effect on the United States. In fact, I think a strong and unified Europe was and has been basically in our interests.